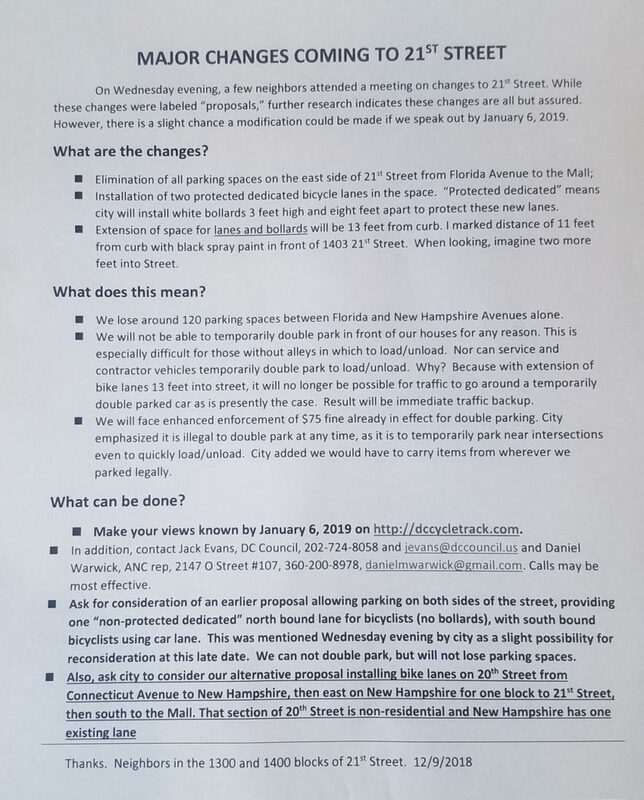 “The purpose of this project is to identify a specific route for north- and south-running protected bicycle lanes between Dupont Circle, the western side of Downtown, and the National Mall that provides a safe environment for people biking of all ages and abilities on either 20 , 21 , or 22 Street NW. 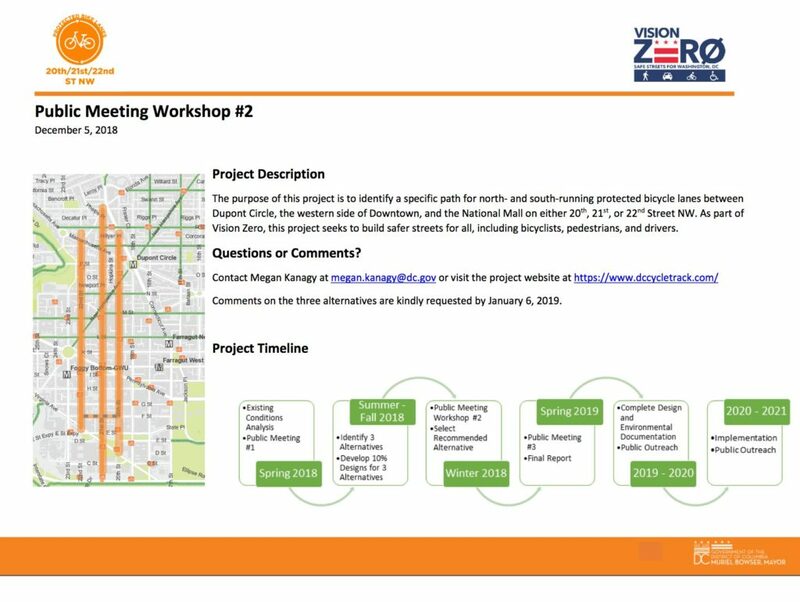 For the purposes of project planning, corridors defining the project area include north-south streets of 20 Street, 21 Street, and 22 Street NW between Florida Avenue NW and Constitution Avenue NW. 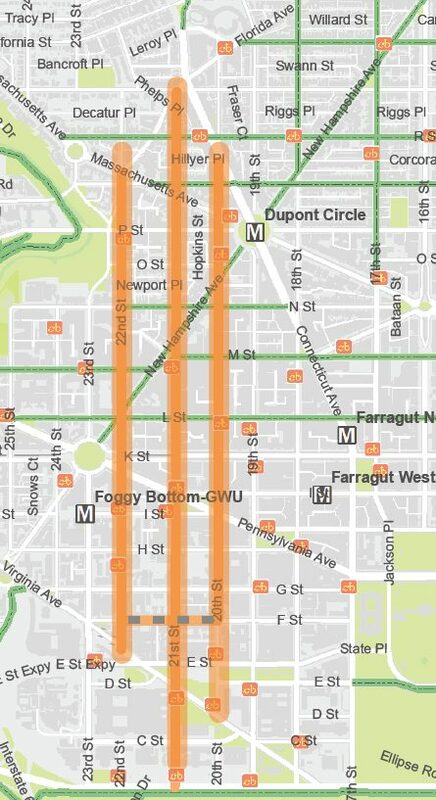 The 1.5-mile project spans the Dupont Circle, West End, Downtown, and Foggy Bottom neighborhoods, with the National Mall at the southern end.